For the victorious powers, Britain and France, the triumph came at immeasurable cost, with both nations suffering from economic instability, political unrest and anti-imperialist sentiment for decades to come. The war gave the world the Soviet Union and paved the way for an expanded American role in international affairs. Finally, the aftermath of the carnage left the fragile nations of Europe prey to the siren song of ethnic nationalism and fascism, setting the stage for future tragedies. With such a tremendous impact on world history, it is all the more puzzling that the First World War is a rather neglected subject in alternate history. While stories that discuss allohistorical versions of World War II and the American Civil War number into the hundreds, the amount of stories written since 1918 describing alternate versions of World War I barely breaks sixty, with the vast majority of them consisting of short stories and essays rather than full-length novels. Despite the small body of texts, stories about alternate WW1s tend to divide into certain types. Far and away the largest subgroup would be “escapist” alternate histories. These are stories written simply to entertain, to reuse the tropes and images associated with the war as a setting for a stereotypical adventure story or a satirical romp. 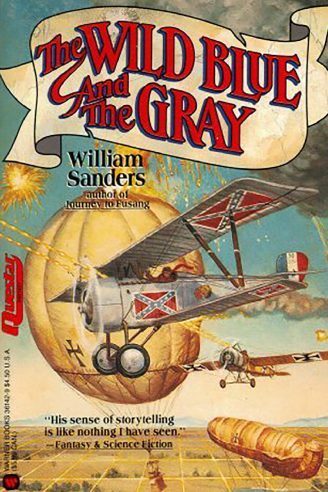 A good example of this type would be William Sanders’ The Wild Blue and Grey (1991), which chronicles the exploits of a Cherokee pilot serving in the Confederate Air Force on the Western Front. 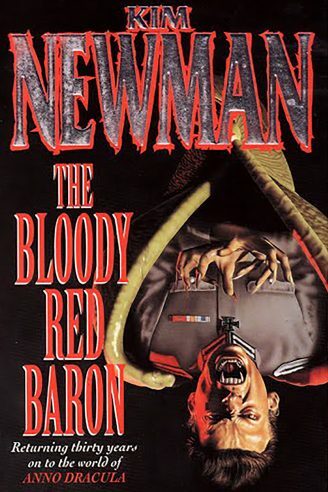 Kim Newman’s The Bloody Red Baron (1995), part of the Anni Dracula series, treats the subject matter similarly, depicting a war where both Entente and Central Powers deploy vampire-backed air forces, though it plays with more postmodern elements (particularly in the use of various characters from period fiction as protagonists within the narrative) than most stories of this type. 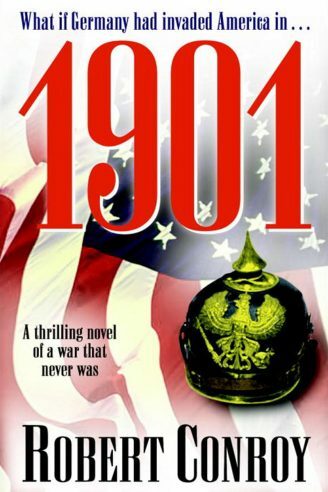 Even when these novels do not directly discuss an alternate version of WW1, such as Robert Conroy’s 1901 (1995), an account of a German naval assault on New York City loosely based on German war plans from the prewar era, they spend a great deal of time alluding to various figures and events from the actual conflict. 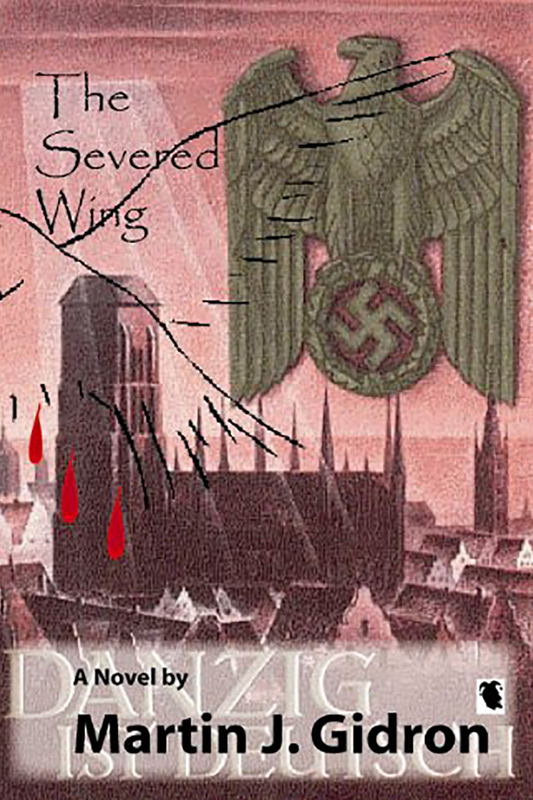 Martin Gidron’s The Severed Wing (2002), a profound meditation of the effects of the Holocaust on Jewish identity, imagines an earlier American intervention, thanks to a reelected Teddy Roosevelt, as well as an antiwar movement assembled by French socialist Jean Jaurès bringing the war to end in 1917 and producing a Europe freed of the legacy of World War II. Interestingly, Gidron’s Europe is not much of utopia. By the end of the twentieth century, Europe is in the midst of a sort of long 1930s, with slowly decaying British and French colonial empires and an increasingly vicious power struggle between Germany and Russia in Eastern Europe. 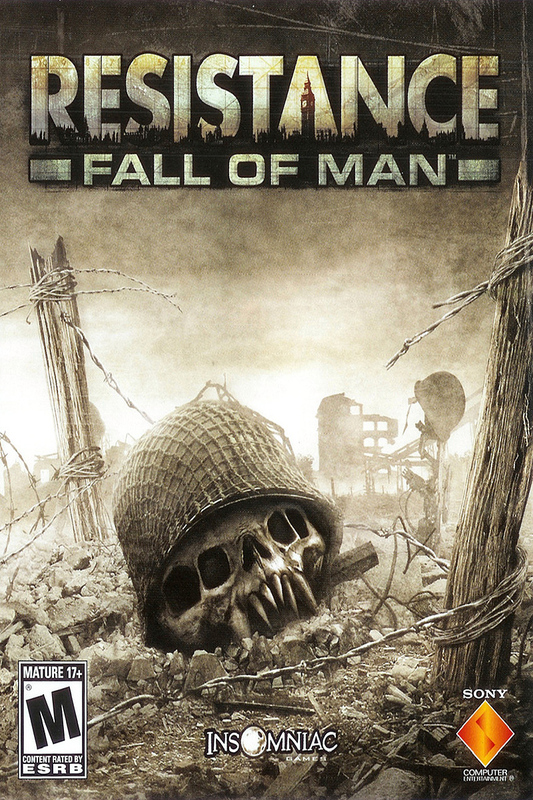 A more optimistic version of this scenario can be found in the backstory of Insomniac Games’ first-person shooter Resistance: Fall of Man (2006), which depicts a slightly altered WW1 ending in another negotiated peace in 1918, resulting in the formation of a proto-European Union and the swift nullification of fascism and the Great Depression, only to be spoiled by the destruction of Europe by alien invaders in 1949. Relatively more common is the speculation on the results of a Central Powers victory in the war. A few writers, such as Niall Ferguson in his WW1 history The Pity of War (1999), have speculated that a quick German victory in 1914 would have been a positive event, allowing Britain to maintain its empire and Germany to create a unified European economy to foster national integration and prevent the emergence of both fascism and communism. Nevertheless, most writers prefer to discuss German victory in starkly negative terms. Stephen Baxter’s 1994 short story “Mittelwelt”, for example, depicts a victorious Second Reich, infatuated with the writings of Nietzsche rather than Hitler, on the brink of launching a war against Japan in 1940 over the remains of British India. 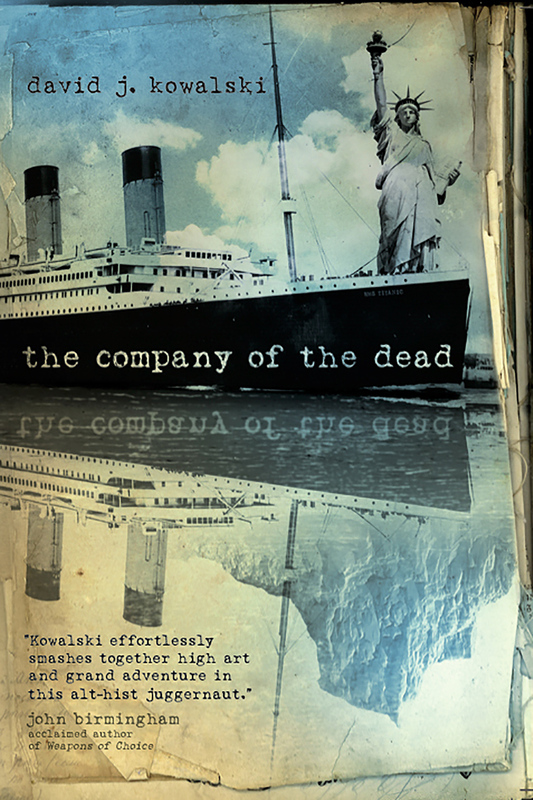 The Germans and Japanese battle once again in David Kowalski’s sprawling The Company of the Dead (2007), where a change to the fate of the Titanic inadvertently allows for a German victory in 1917 and the fragmentation of the United States in the late 1920s, setting the stage for the division and consolidation of the world for over a century into mutually hostile German and Japanese world empires. 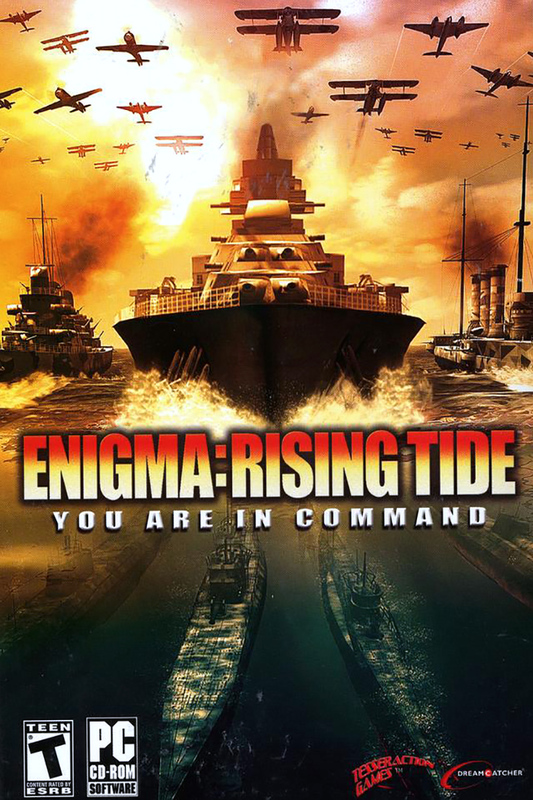 A slightly subtler approach is taken in Tesseration Games’ naval simulator Enigma: Rising Tide (2003), where by 1937 a furious naval arms race has broken out between the United States, German Europe and Japanese East Asia, with routine flareups in the North Atlantic, Latin America and the Pacific. Despite these varied titles, they are a far cry from the avalanche of titles depicting alternate World War IIs, American Civil Wars and even Napoleonic Wars. If the stories described above show that the First World War is a fertile ground for counterfactual speculation, why then has it been so neglected as a source of story ideas? Part of the problem may be that World War I is a conflict whose time has passed. While counterfactual speculation of historical events has arguably existed since the emergence of the study of history itself, it has only been since the late 1960s, with the great postwar renaissance of science-fiction, that alternate history has emerged as a full-fledged subgenre. Given the personal and contextual background of the authors experimenting with alternate history, the genre’s predominant focus on WW2 and the American Civil War makes a certain amount of sense. Many writers of science-fiction by this time had participated in the Second World War, knew people who did or were inclined to see WW2 as the source of many of the current ills of the modern world, from the Cold War to the nuclear arms race to the decline of the European empires. Similarly, the Civil Rights Movement and the struggle over segregation naturally left many American writers with a renewed interest in the divisive politics of the Civil War. By contrast, in the 1960s, the generation that had fought in the First World War were passing from public life, with even the youngest veterans entering their sixties and seventies by the end of the decade. Furthermore, despite the colonial battles and the American intervention, WW1 has always been considered a European conflict. 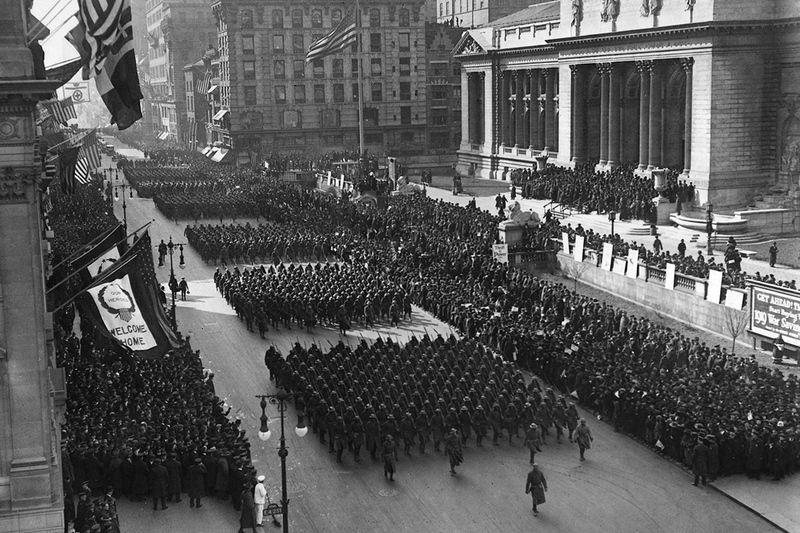 In American memory, the First World War has disappeared almost entirely, supplanted by the shock of the Great Depression and the Second World War. Even in Europe, memories of WW2 often overpower those of WW1, leaving discussions of alternatives to that conflict of interest to only a few enthusiasts. Along with the issues of time and other distractions, World War I’s place in alternate history has also been greatly determined by the ways the war itself is remembered. As the cultural historian Modris Eksteins once noted, the real First World War was long ago “swallowed by imagination in the guise of memory.” The sheer scale of the battles, unprecedented in European history, and the immensity of the destruction and loss of life have led many people, historians and laymen alike, to look for a suitably great, overarching rationale for all the carnage. Unlike the Second World War, a conflict that is still seen as the primary responsibility of a few key decisionmakers, filled with battles that relied on chance, contingency and good luck, World War I has evolved into a great force beyond human comprehension or modification. While a few modern historians like Niall Ferguson and David Stevenson place the responsibility for the war on the actions of a few key Austrian and German leaders during the long September of 1914, most historians prefer to cast the net wider. For decades now, the Franco-Prussian War of 1870 has traditionally been depicted as the spark that ignited the long fuse to 1914, with its rearrangement of the European order and the emergence of a powerful, expansionist Germany. Some historians, such as A.J.P. Taylor, go back even further, looking at the revolutions of 1848 and the Crimean War as the death knell of the post-Napoleonic order in Europe and the flashpoint of WW1. Depending on the source, World War I was caused by anything from an Anglo-German arms race, increasingly dangerous global competition for colonial influence, the inherent contradictions of capitalism coming to the fore as imperialism ran out of new lands to conquer, paranoia regarding the relative economic expansion and decline of various powers, the emergence of new weapon technologies no one understood and the creation of mobilization plans so complex that their mere implementation automatically led to war. 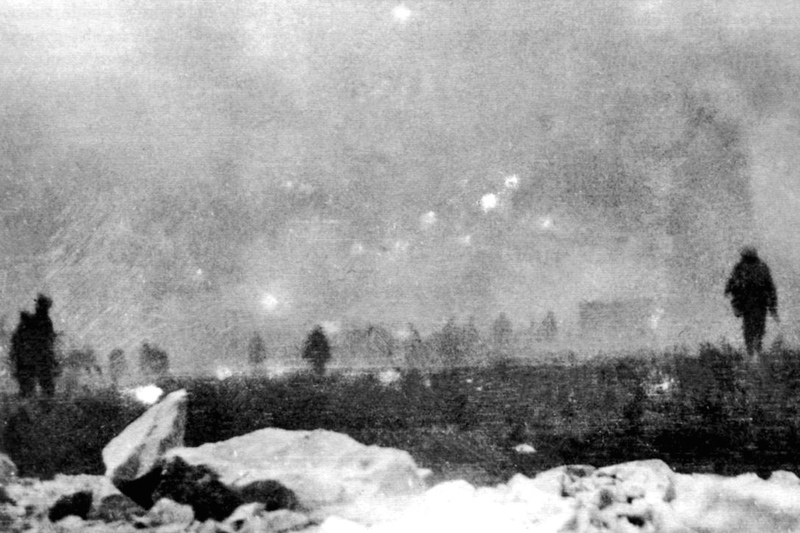 Similarly, the scale of the battles has tended to discourage counterfactual speculation on how the individual battles of WW1 could have evolved differently, beyond the initial moves of 1914 and the mobile final battles of 1918. With such an intellectual background, speculating about alternatives to the First World War may seem pointless to aspiring writers. After all, how could anything have gone differently if it was all decided decades ago by thousands of people for hundreds of different reasons? Ironically, this interpretation of World War I, as a sort of inevitable event in the history of the modern world, is what has resonated the most with writers of alternate history. Rather than being dependent on the actions of individuals, the First World War has become a sort of “natural” event in history that occurs whenever a world reaches a certain stage of industrial and political development. 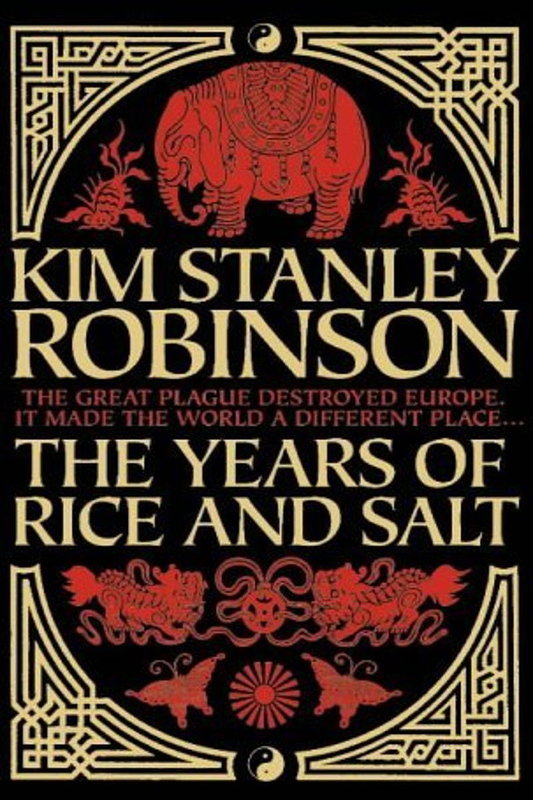 In Kim Stanley Robinson’s 2002 novel The Years of Rice and Salt, set in a world where Europe was removed from history due to the Black Death, a great civilizational war breaks out between the Islamic world and a Chinese-Indian-Iroquois alliance in the early twentieth century, fought for over six decades with trenches and artillery on a dozen different fronts worldwide. 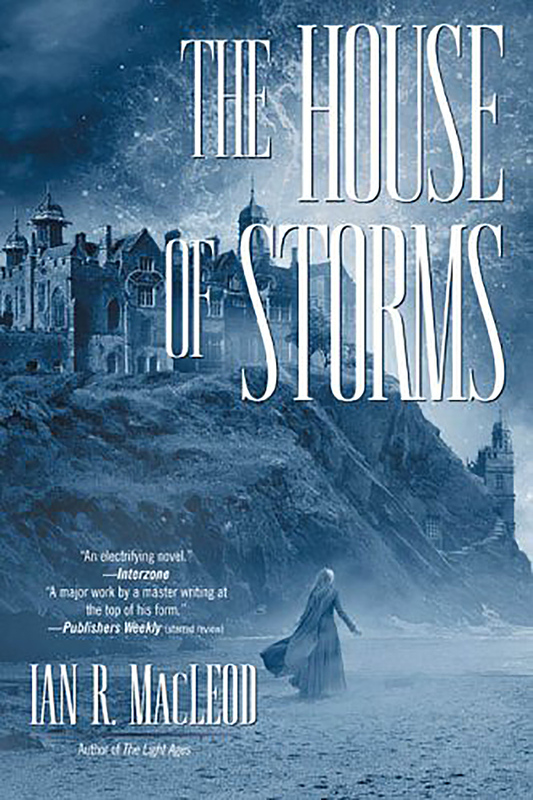 Ian R. MacLeod’s The House of Storms (2005), set in an England powered by a magic-based Industrial Revolution, details the origins and course of a vicious civil war between Bristol and London sometime in the mid-twenty-first century (starting in an “unseasonably hot” August during “Year 114 of the Age of Light,” no less), with plenty of trenches and artillery to spare. 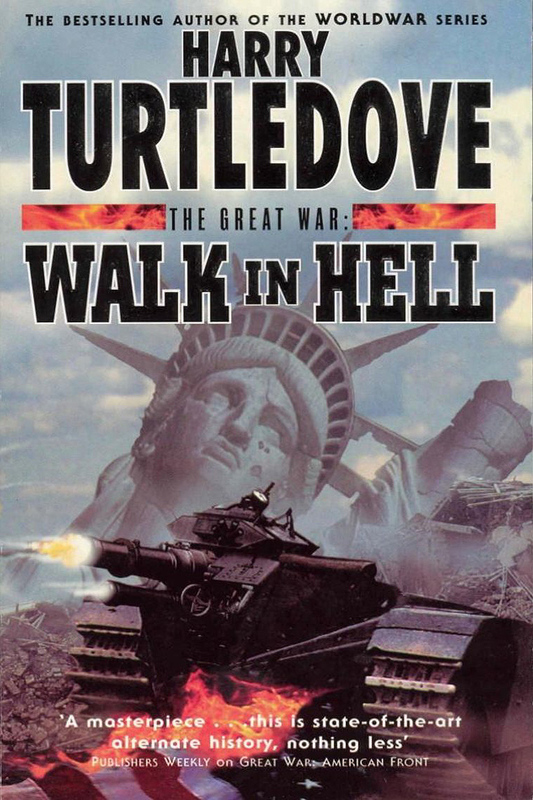 Harry Turtledove’s Great War trilogy (1998-2000), set in his extended Timeline 191 series of novels, imagines the outbreak of war in Europe triggering another, even more brutal war between the United States and the Confederacy, due to the integration of both countries into the European alliance system. Even in stories not explicitly discussing it, WW1 often finds a way to occur, even if only as the brief “Emperor’s War” of Ward Moore’s classic American Civil War counterfactual Bring the Jubilee (1955). And even when WW1 breaks out in timelines similar to our own, the literary and artistic legacy of the actual war often causes it to evolve into surreal, phantasmagoric directions. 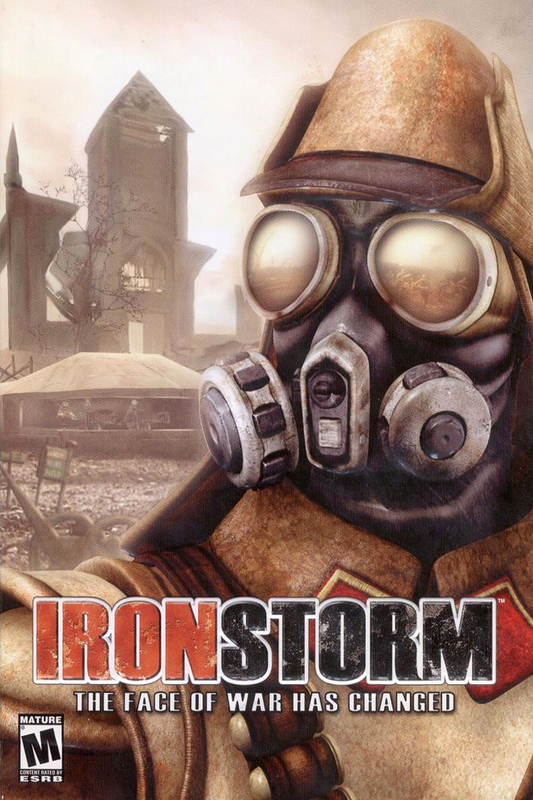 4X Studio’s first-person shooter Iron Storm (2002) quickly heads in this direction, imagining a world where the war has continued for fifty years, evolving from a brawl within Europe to a death struggle between Western civilization and an Pan-Asian Russian empire. 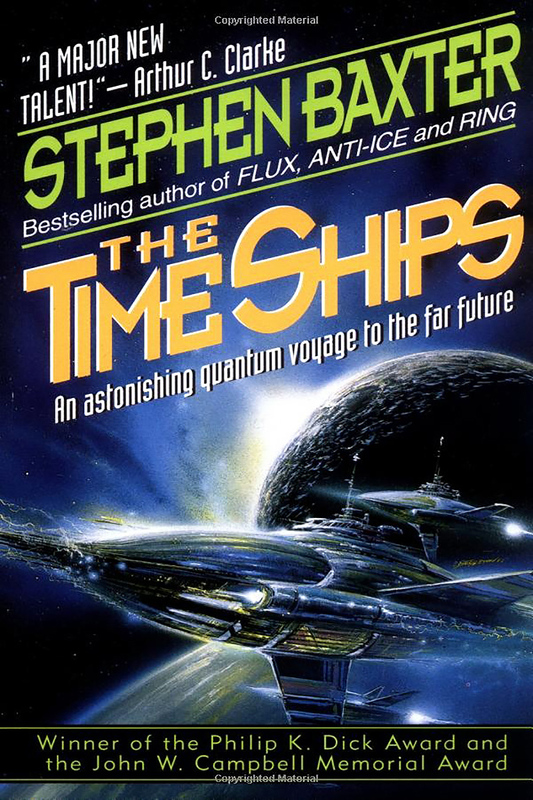 Stephen Baxter’s The Time Ships (1995), a loving sequel to H. G. Wells’ The Time Machine, depicts an oddly Wellsian vision of 1938 where Britain and Imperial Germany fight each other with gigantic “land ironclads” and automated bombing planes while hiding in city-spanning concrete domes. 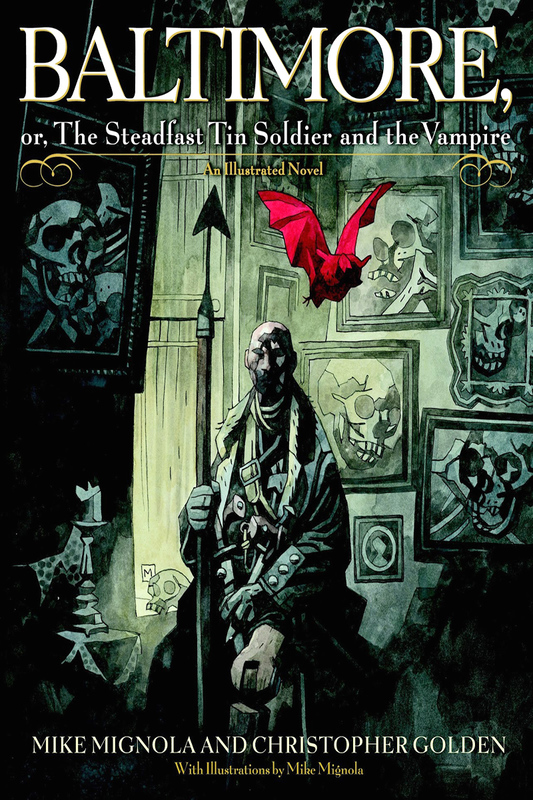 A subtler example of this trend can be found in Mike Mignola’s and Christopher Golden’s Baltimore, or, The Steadfast Tin Soldier and the Vampire (2007), where a First World War in a Europe slightly different from our own peters out as a horrifying supernatural plague begins to sweep the graves of the Western Front and beyond. 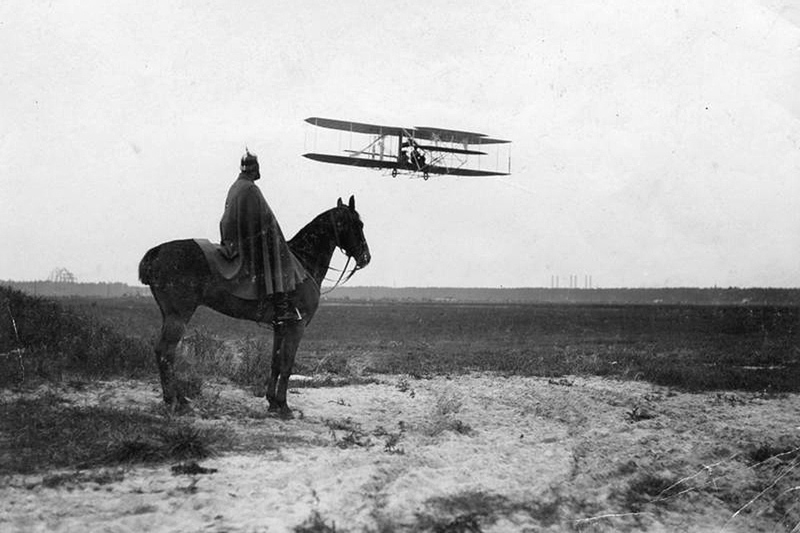 In the final analysis, it may not be entirely true that the First World War has been neglected by alternate history. Rather, it is more fitting to say that the image of WW1 in the minds of writers has become far more powerful than the memory of the physical conflict itself. World War I has become a subject not so much of alternate history, but of dark fantasy, a fantasy of nightmarish battles of mud and iron and horror, one that will live long after the original events have faded away. This story first appeared in Gatehouse Gazette #6 (May 2009), p. 14-16, with the headline “A War Without Alternative: The First World War in Alternate History”.